Congratulations to the student of the month for September. Wendy demonstrates excellent behavior in and out of the classroom and is well mannered and respectful to both peers and teachers. She also displays leadership qualities and serves as a role model for her peers. Wendy works well with classmates and demonstrates exemplar character. Wendy lets no challenge stand in her way. She has faced the challenge of being a second language learner in high school and despite the challenges she faced, she has been able to excel in school. She plans to continue her education after school to become a middle school math teacher. Congratulations Wendy Pelayo. 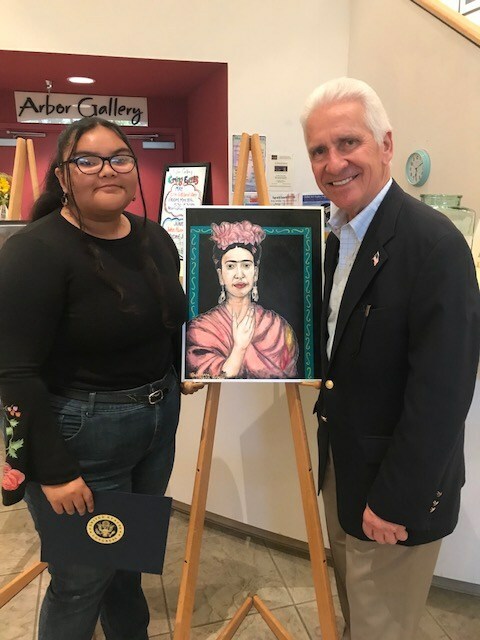 Congratulations to Guilli Angulo for placing in the top five at the Congressional Art Competition for her artwork illustration of Frida Kahlo. The medium is color pencils and acrylic paint markers on bristol board. The reception was held in Merced at the Multicultural Art Center with Jim Costa, our U.S. Representation for the 16th District of California presenting awards. 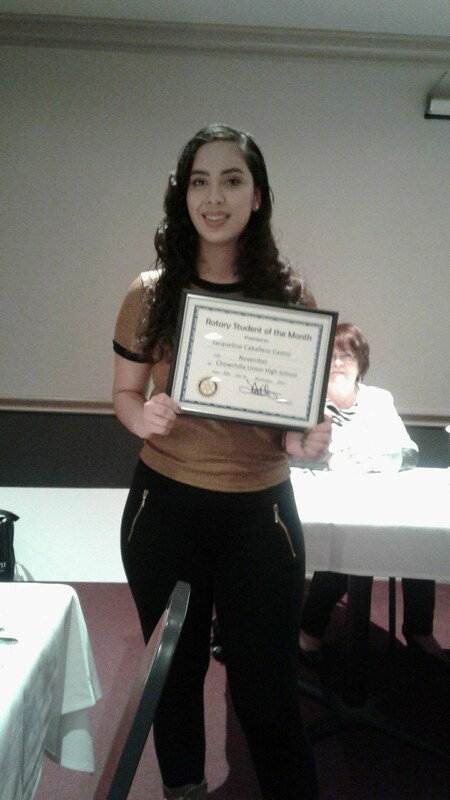 Congratulations to the student of the month for March. Mariah is active in all aspects of high school life such as water polo, CSF, swim, Link Crew, ASB and Block C. She is also the 2018 class treasurer and ASB student body president. She has taken numerous AP and Honors classes and has earned an outstanding overall GPA during her years at CUHS. Her dedication has opened up many doors for her such as early acceptance several colleges and consideration for academic scholarships. She is beyond helpful, compassionate to everyone and demonstrates her strength of character on a daily basis. She is a true member of what we aspire our TRIBE to become. Congratulations Mariah Martinez. 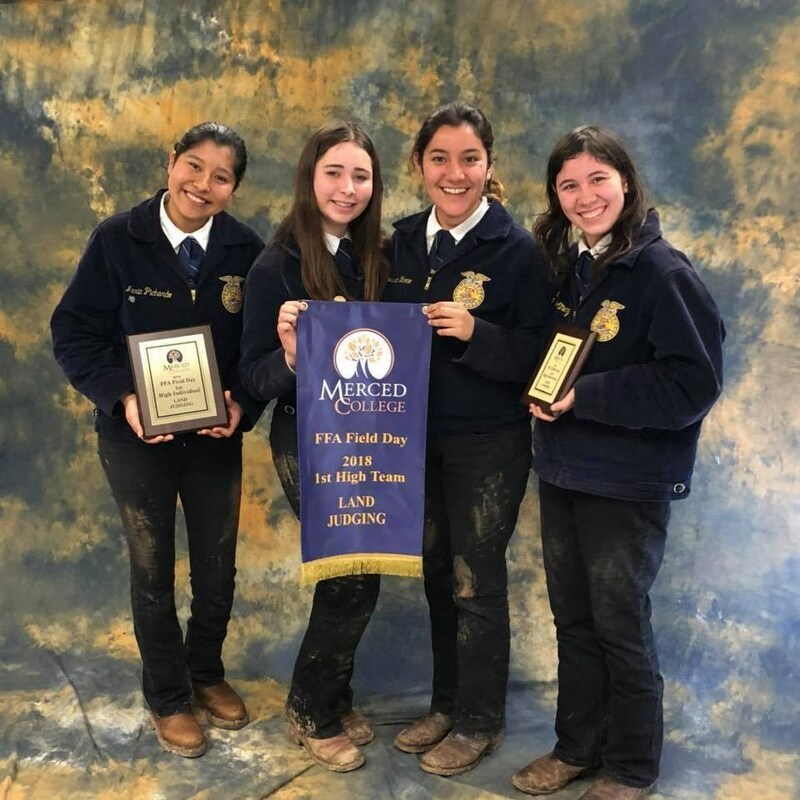 Congratulations to our FFA Land and Soil Evaluation Team who won the Merced Field Day this weekend. Maria Pichardo was first high individual and Sandra Martinez was third high individual. The team is coached by Brad Bitter. Great job, Tribe! The CUHS Tribe Speech and Debate Team attended the Sierra District National Qualifier this past weekend. Exciting news! 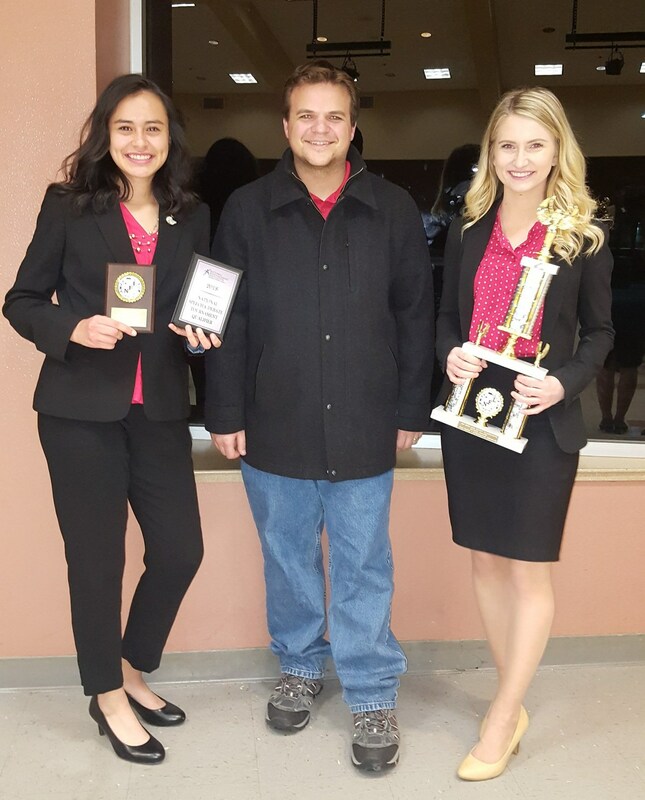 The Tribe had two students, Andrea Jimenez and Caitlin Herring (pictured with Coach Bill Turner), qualify to the National Championships to take place in Florida this June!! Congratulations to these young ladies for their accomplisment and to the entire team for their hard work this season. We're excited to see what this team continues to accomplish! 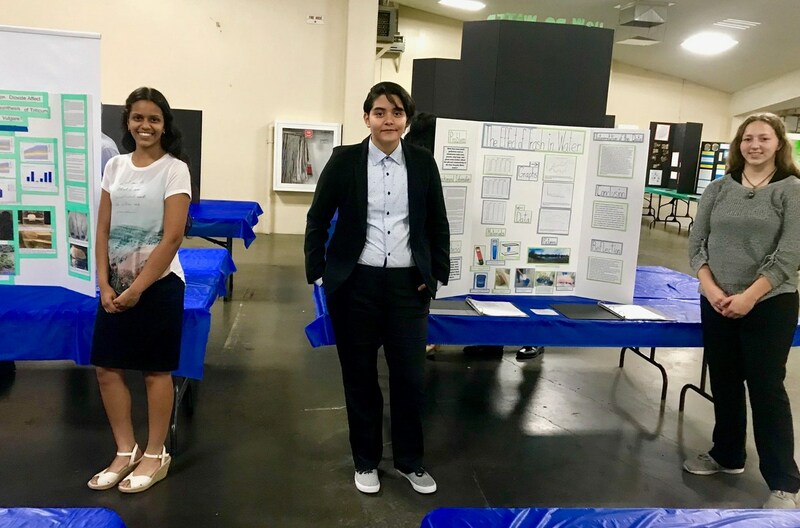 Three of our sophomore students represented Chowchilla High and competed at the 65th Annual Fresno County Science Fair this week. Alondra Villanueva, Julia Mayo and Natasha Bhardwaj competed against 650 other students from all over the valley. They have been working on their Environmental Science projects since last September. Alondra and Julia's project was "How does man-made pollution affect the pH, color, and conductivity of the San Joaquin River water?" Natasha's project was "How Does Air Pollution Affect the Biomass and Rate of Photosynthesisof Triticum aestivum and Hordeum vulgare?" They presented their projects to local scientists, engineers, and professors who were the judges for Senior Division. They were interviewed for two hours. Alondra, Julia and Natasha all received Honorable Mention Awards in the Category of Environmental Science for their projects. This is a very competitive category and it is very impressive they were acknowledged their first year. Congratulations to our STEM Career students! 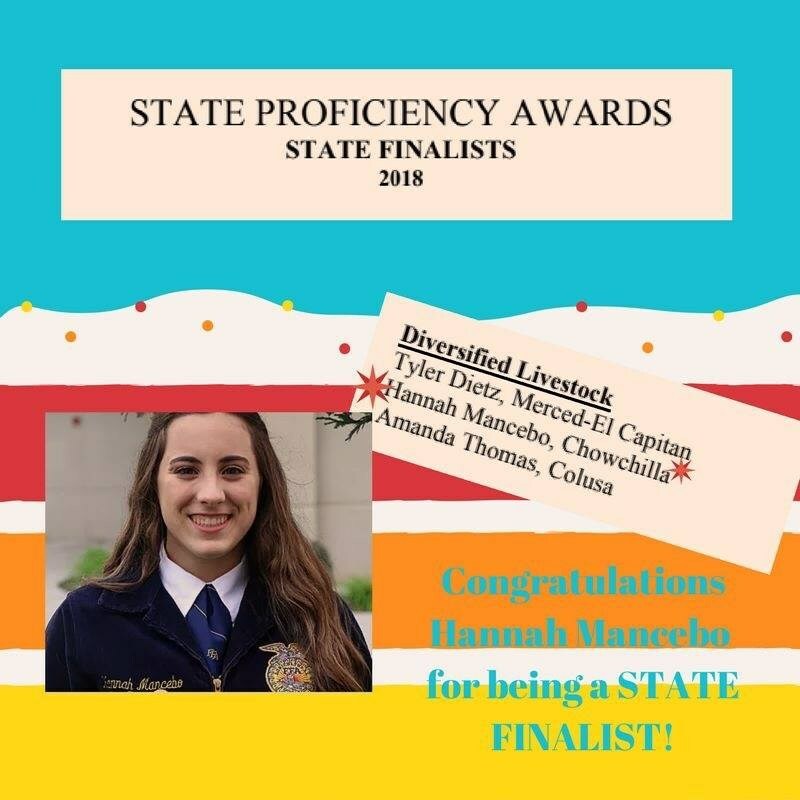 Congratulations to Chowchilla FFA Member Hannah Mancebo who was named a state finalist in diversified livestock. Her SAE projects include dairy heifers, dairy goats, and boer goats. Way to go, Hannah! 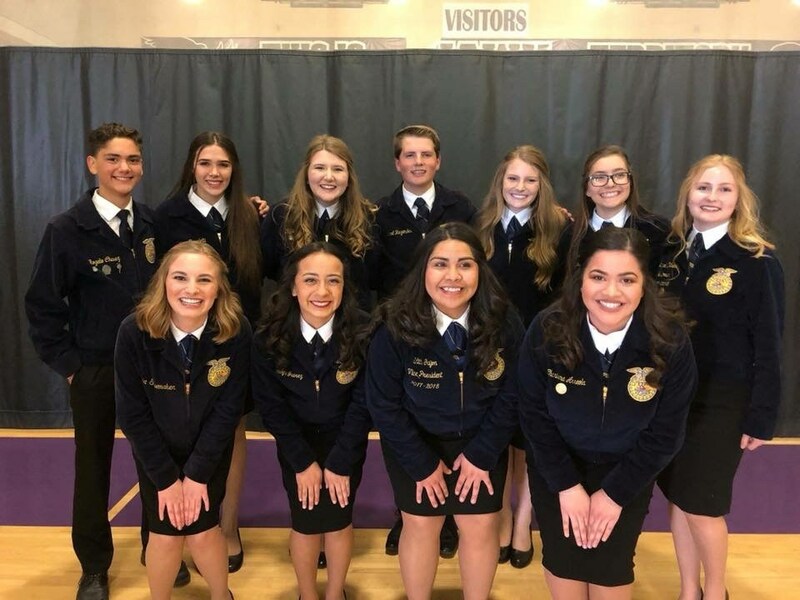 Chowchilla FFA had eleven students participate in the Regional Speaking competition last Friday. 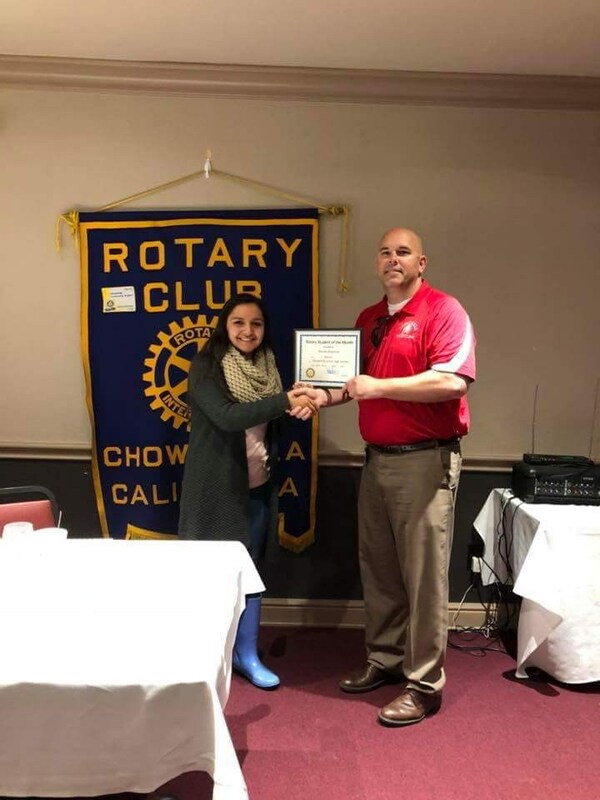 Chowchilla was the only chapter to have students qualify in all five speaking categories and had the most students compete from one chapter at that level. Zach Santos placed fifth in creed and Kylie Farmer placed fourth in extemporaneous. They are pictured with FFA Advisor Kassie Dewey. Great job, Tribe! Good luck to Chowchilla FFA at State speaking finals next month! 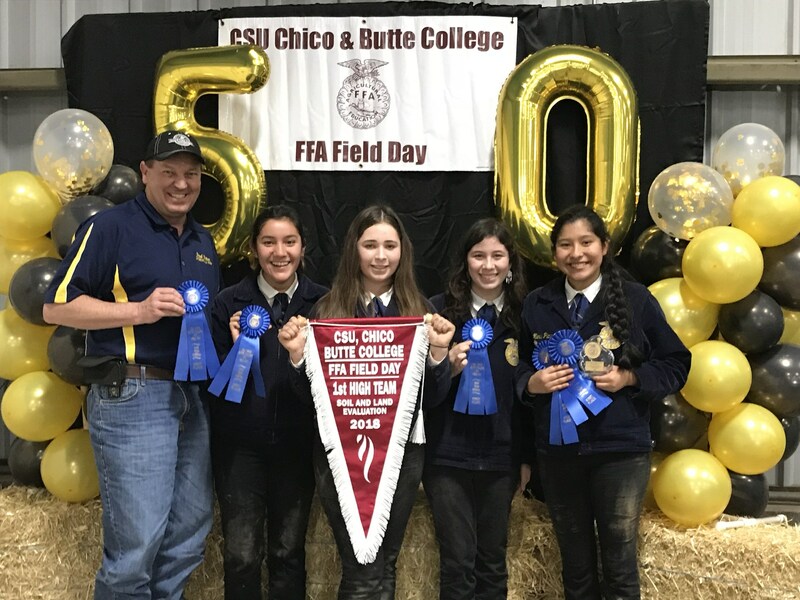 Chowchilla FFA members Vanessa Romo, Paola Ramirez, Maria Pichardo, and Sandra Martinez recently competed at Chico State and were the first high team as well as Maria Pichardo winning the 1st High Individual! The team heads to Merced College this next weekend. 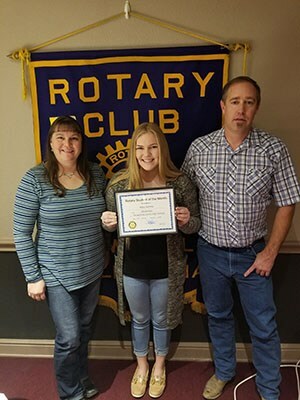 Congratulations to CUHS sophomore Zoe Benard for winning the Club and Area Rotary Club speech contest last night at a Rotary presentation. Zoe now moves onto district finals in Merced on March 24th. 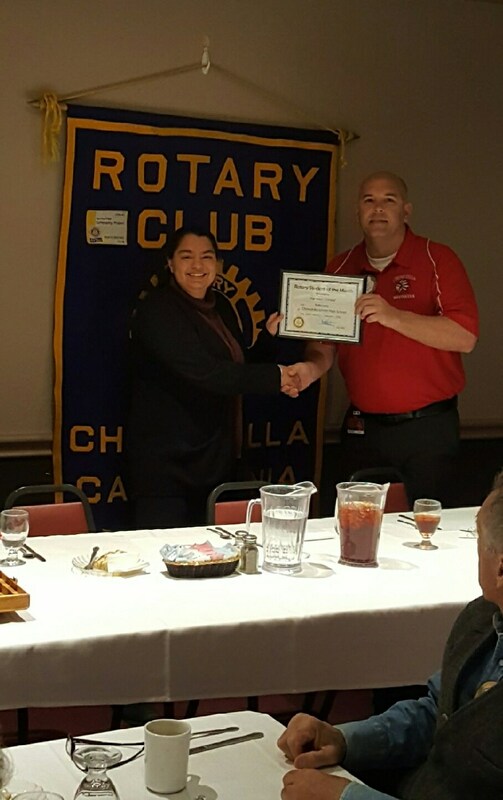 Zoe is pictured receiving her award from Rotary Member and CUHS Principal Justin Miller. 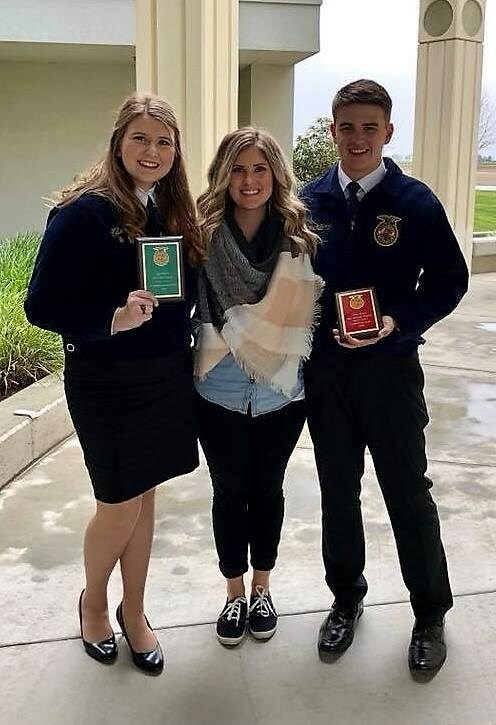 Congratulations to Kylie Farmer who was elected to FFA San Joaquin Regional office this past Saturday, February 24, as the West Fresno Madera Vice President. Kylie is the first student from our FFA chapter to reach this level of leadership in over 10 years. Congratulations to the student of the month of February. Harveen is an outstanding student academically, is very involved in extracurricular activities and is an all around very nice, pleasant and humble young lady. She is currently ranked #1 in the senior class, has taken eight AP classes over the years and maintained over a 4.4 GPA with that challenging course load. She has been involved in Academic Decathlon, Tennis, CSF, NAHS, Link Crew, Multicultural Club, History club and Tech Club over the past four years. Harveen represents both AP and CTE success here at CUHS!! She always works above and beyond in her classes. She is an asset to any classroom, as she not only positively participates in discussions, she collaborates well with others and teaches other students along the way. After graduation, she is planning to pursue a degree in computer science. Congratulations to Harveen Grewal. 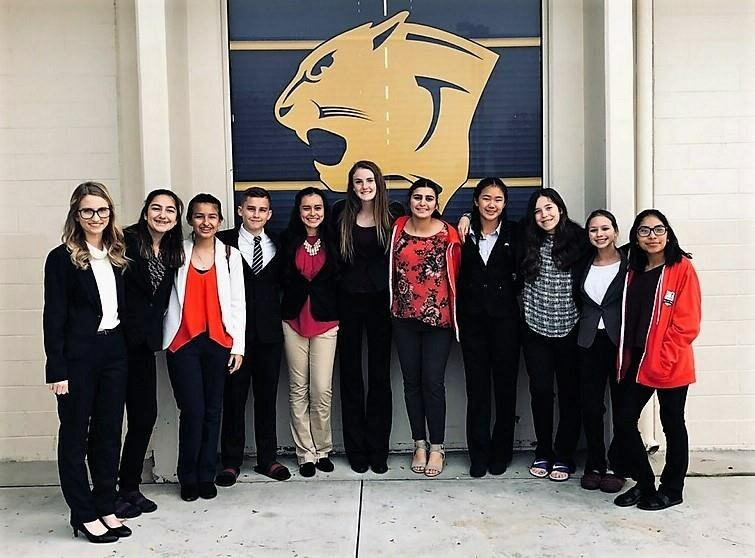 The CUHS Speech Team competed this past weekend at the State qualifier at Clovis East High School. Hahna Song and Andrea Jimenez qualified to the state championships in Impromptu Speaking. Caitlin Herring and Daneli Santillan have qualified to State in Informative Speaking, and Zoe Benard qualified to State in Oratorical Interpretation. Samantha Eastton is the first alternate to state in Impromptu Speaking. Dillon Haworth made it to semifinals in Impromptu Speaking, Daneli Santillan made it to semifinals in Original Oratory, Islam Sulieman made it to semifinals in Original Advocacy and International Extemporaneous Speaking, Jennifer Lugo made it to semifinals in Oratorical Interpretation, and Hahna Song made it to finals in Oratorical Interpretation. Andrea Carranza also participated. In the team's first year, they will have five students compete at the state championships in April at Mountain House High School. This is unprecedented success for a team in its first year. Congratulations Speech Team!!! Congratulations to the student of the month of January. Zachary is an outstanding student and an upstanding citizen. He is a 4 year scholar athlete, takes multiple AP classes, and is there to help with whatever is needed. He is an active member of the STEM club and History club. He is also a member of Link Crew and always demonstrates kindness and great character. Zachary always shows compassion and always tries his hardest. He does a stellar job representing the Tribe. Congratulations to Zachary McGraw. Congratulations to the student of the month of December. She is our FFA president this year and is also serving as a FFA Sectional Officer. She is a very active young lady showing Steers (Reserve Supreme Champion at the Madera Fair this year) and Hogs as well as being a member of several FFA CDE and LDE teams. She is currently preparing for Parli-pro, Speech, Livestock Judging, and Banking. She just finished a very successful Cotton Judging season as the 2nd high individual and on the State Champion FFA team this past month. She maintains a 4.25 GPA and is very goal driven. She is a genuinely nice kid who is an asset to both the AG program as well as a Tribe member. She is a dedicated student and is active in so many things that she exemplifies the traits of a Student of the Month! Congratulations Riley Barney! 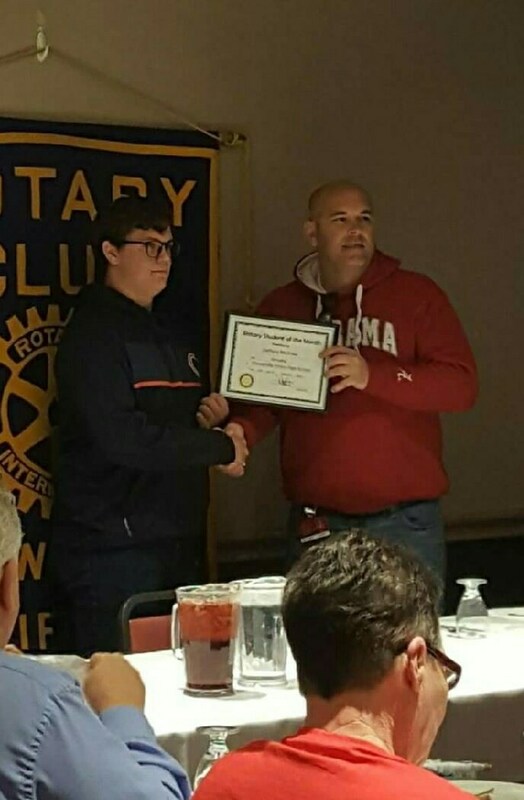 Congratulations to the student of the month of November. She is a talented, driven, and kind student who always puts forth her best effort on every task. She currently is taking three AP courses and two honors courses and still always takes the time to help others. She is a quiet leader who has the respect of her peers due to her diligence, hard work and sincerity. She is extremely efficient, she can get so much completed in a short amount of time and she is such a great help to those around her.She exemplifies what it means to be a valued member of the Tribe. Congratulations to Jacqueline Caballero. Congratulations to the student of the month of October. His ability to persevere and push through is unlike anyone else's. He balances a challenging course load and excels academically. He has an amazing attitude and is always respectful. He sets a great example for his peers and contributes to our tribe culture through his athletic abilities and involvement in football. He is always kind and considerate in all actions, he has a wonderful attitude toward work and competition and he has demonstrated, through his entire tenure here, that perseverance pays off. He is very deserving of this honor! Congratulations Asa Shields. 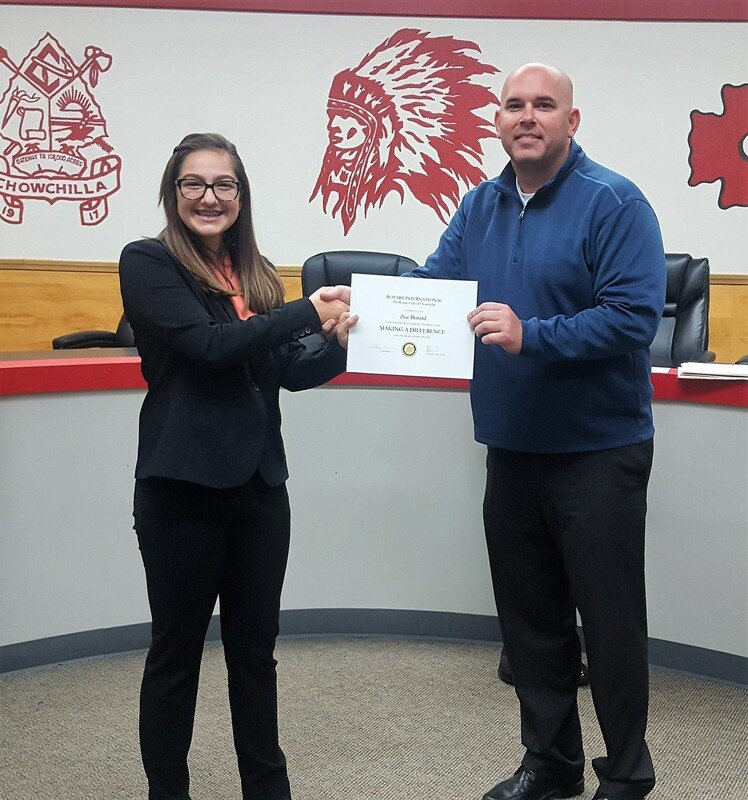 Congratulations to the student of the month for September, Ashley Estwin. She is a real go-getter. Her schedule is always packed with the most rigorous courses and she does really well semester after semester. She has amazing poise and is always willing to take on additional responsibilities to represent CUHS. She is involved in numerous activities including AVID tutoring, cheer, academic decathlon, swim, yearbook, and track. She is one of the hardest working students and it's a pleasure to work with her. She always maintains a positive and respectful attitude. Congratulations Ashley! 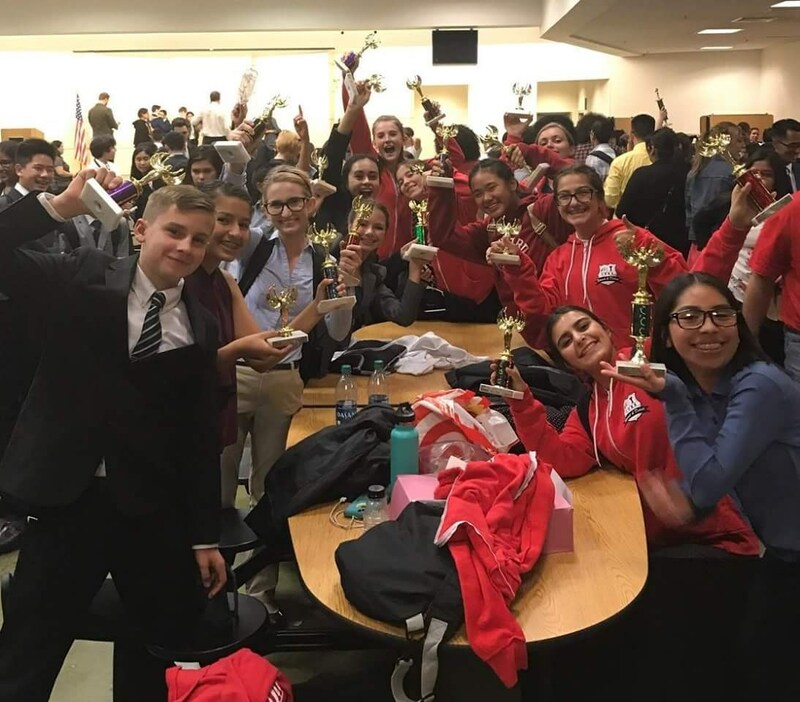 The Chowchilla Tribe Speech and Debate Team had their first tournament in the history of the program. They attended the Redwood Regional Opener at Clovis East High School on Saturday where eleven schools in the region attended the competition. The Tribe emerged victorious, winning first place overall as a team and 20 individual trophies. Congratulations Tribe Speech Members and Coach Turner! Congratulations to our new history teacher, Bill Turner, who was honored as the KSEE 24 News teacher of the week. Below you can see the news clip that aired on tv.